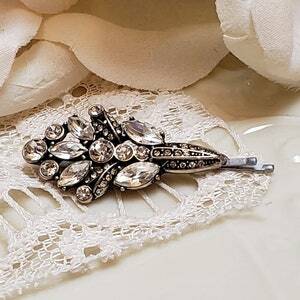 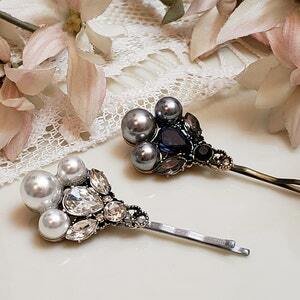 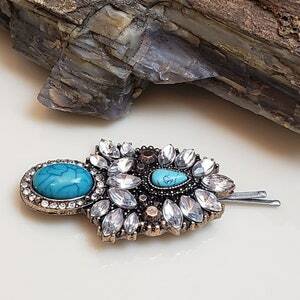 Stunning dressy tichel and hair pin! 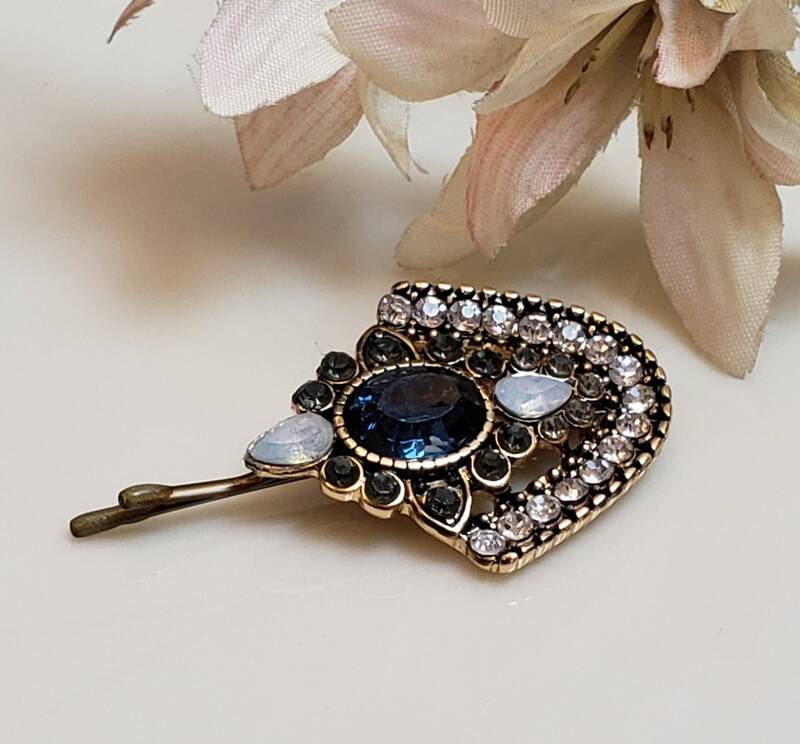 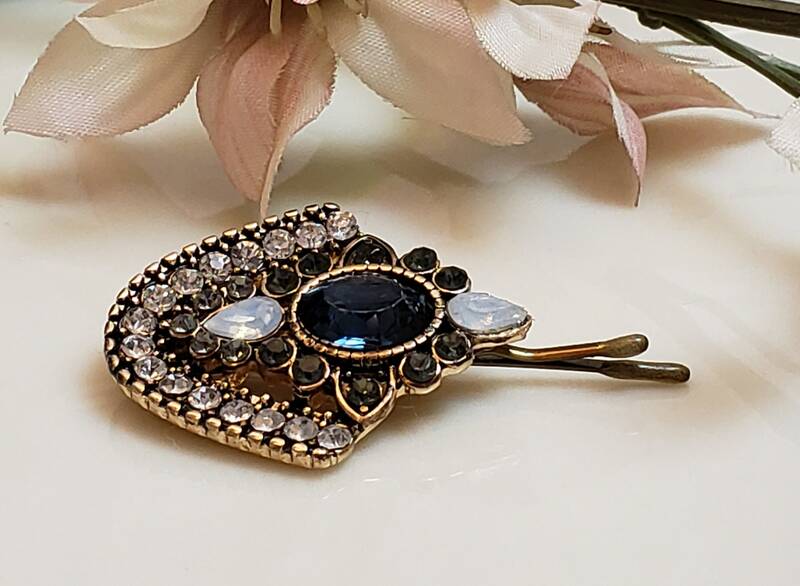 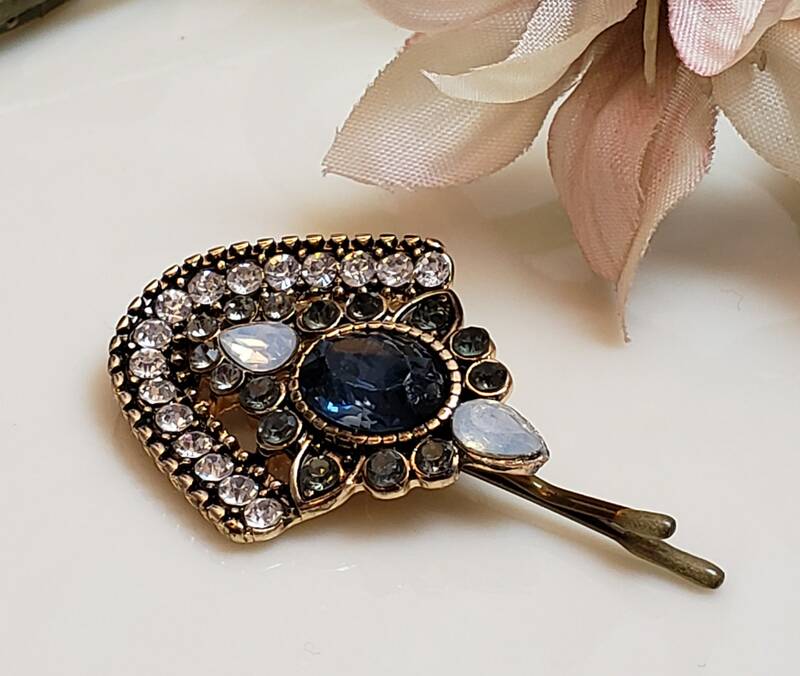 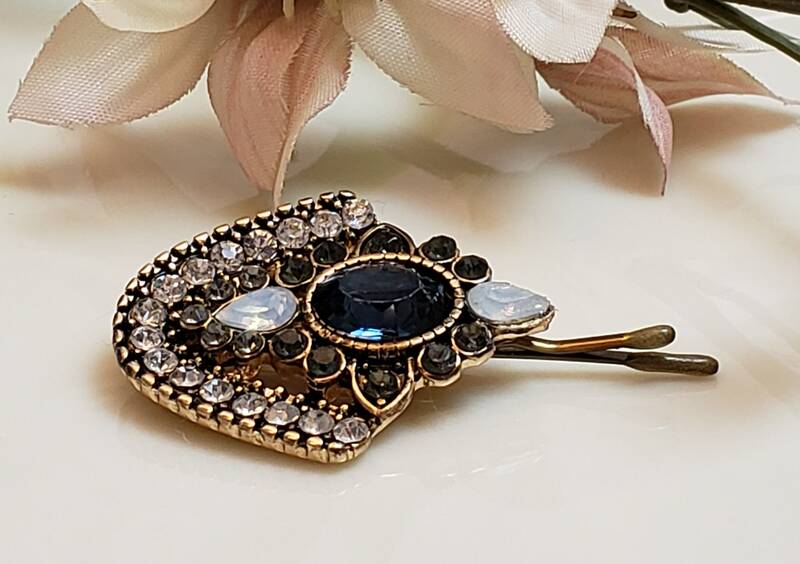 This beautiful ornate pin features a cluster of gems in a unique fancy design around a central blue stone. 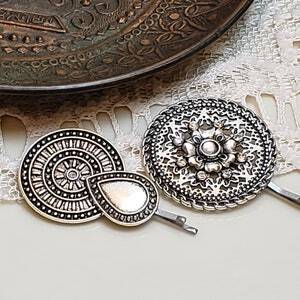 Tichel pins add oomph to your head scarf and outfits and light to the eyes!